ST公司的L9907是三相栅极驱动器,采用ST公司的先进的BCD-6s技术,能驱动用于3相BLDC马达的所有PowerMOS晶体管L9907满足汽车规范AEC-Q100,电源电压从4.2V到54V,用于工作在单(12V)系统,双(24V)系统和48V电池应用,在FET高边驱动器引脚上能经受住-7 V - 90 V,低待机电流功耗,PWM工作频率高达20kHz,栅极驱动器电流可通过SPI四步调整,调整范围通过外接电阻最大栅极控制电流为600mA.此外还有保护和诊断功能:FET驱动器具有电源欠压(UV)诊断,栅到源输出电压限制,栅到源无源开关断开;电源VB和VCC有过压(OV),欠压(UV)诊断和保护功能,所有逻辑引脚能经受35V,超温诊断和关断,主要用于3相栅极驱动器和汽车FET驱动器.本文介绍了L9907主要特性,框图,三相马达控制图以及评估板EVAL-L9907应用框图,主板电路图和逆变器板电路图表与PCB设计图. 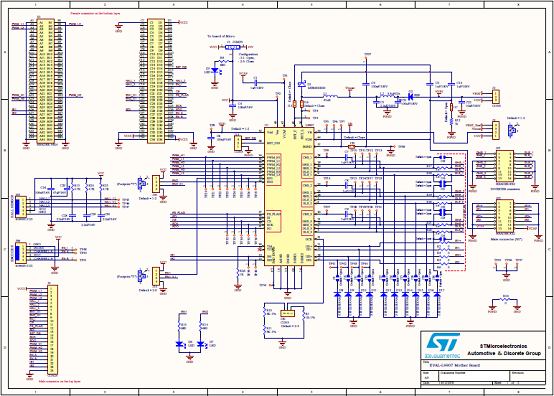 L9907 is a smart power device realized in STMicroelectronics advanced BCD-6s technology. 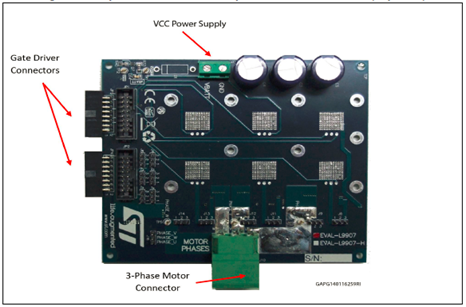 It is able to drive all PowerMOS transistors for 3-phase BLDC motor applications. The circuit is suitable to operate in environments with high supply voltage such as double battery. Supply related pins are capable of withstanding up to 90 V. Moreover, the device is able to control the six pre-driver channels independently. 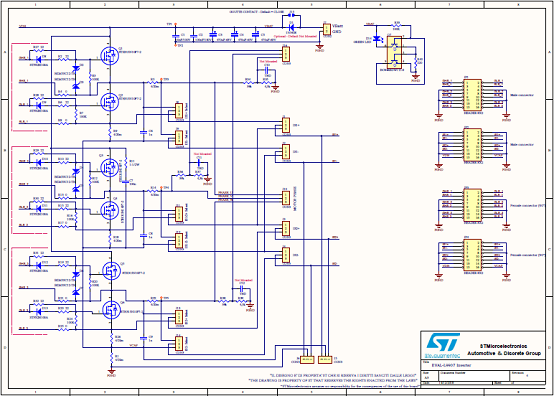 In this way it is possible to implement all kinds of electric motor control strategy. 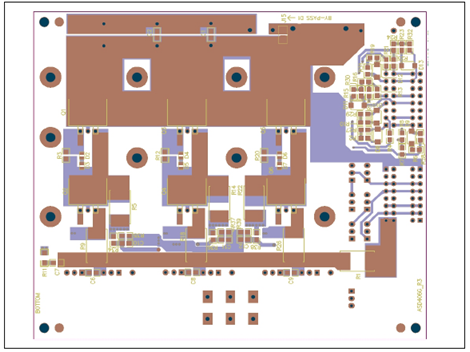 The integrated boost regulator provides sufficient gate charge for all PowerMOS down to a battery voltage of 6 V. All pre-drivers have dedicated connections with the MOSFET sources. 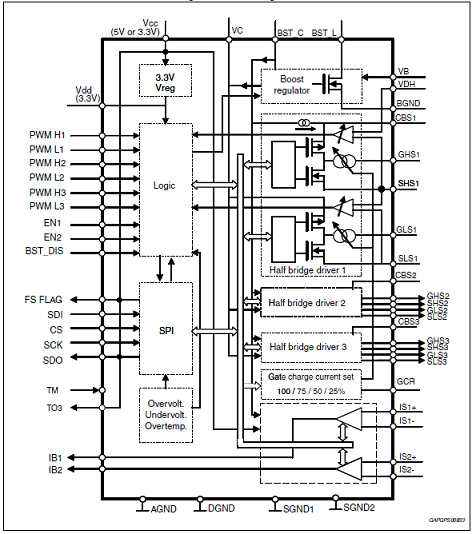 The device offers programmability for a base gate output current via an external resistor. 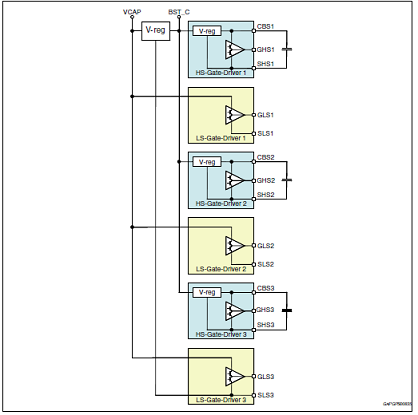 Moreover, via SPI, it is possible to select among 4 gate output current levels even while the application is running. All channels are protected against short circuit and the device is protected against overtemperature conditions. 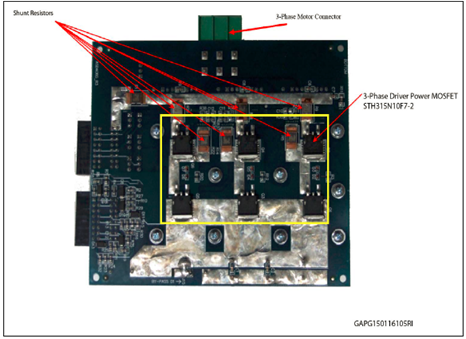 Moreover, the boost converter implements an over voltage protection to allow safe functionality of pre-drivers in all battery voltage conditions. During over voltage conditions, BST_C voltage is limited by temporarily switching off the boost regulator and pre-drivers are allowed to operate. Boost will be self re-enabled as soon as the output voltage decreases to an acceptable value. The device is equipped with 2 current sense amplifiers. 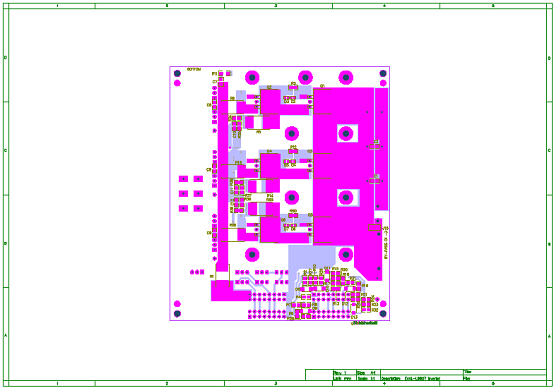 Both have SPI selectable amplifier gain (10, 30, 50 and 100) and output offset voltage level in order to allow max flexibility for phase or ground current sense strategy. All I/O pins are 35 V compatible. Full diagnostic is available through SPI. 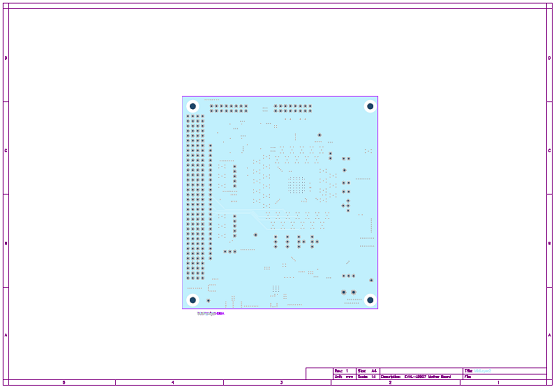 The device is available in TQFP64 and bare die, depending on the application requirements.The device is protected against Shoot Through events. 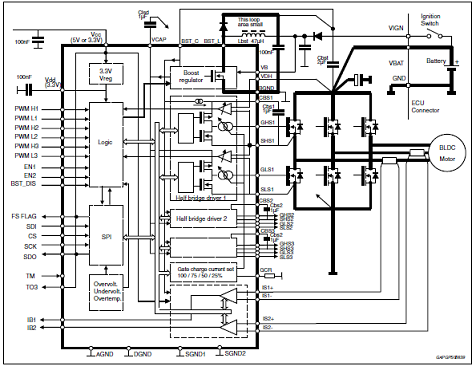 �C Short circuit detection thresholds for the low-side and the high-side MOSFETs (drain to source voltage monitor). 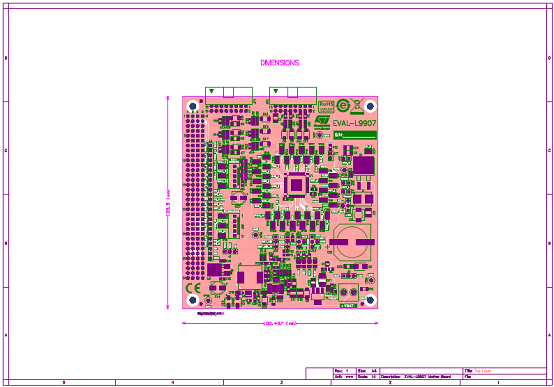 The EVAL-L9907 is an evaluation board designed to provide the user a platform for the L9907, a FET driver for 3 phase BLDC motor. 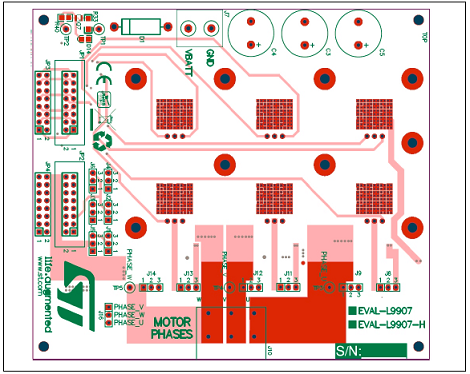 The board offers all the main input/output capabilities needed to drive a BLCD motor properly and to provide diagnostic functionalities. Full diagnostic is available through SPI. 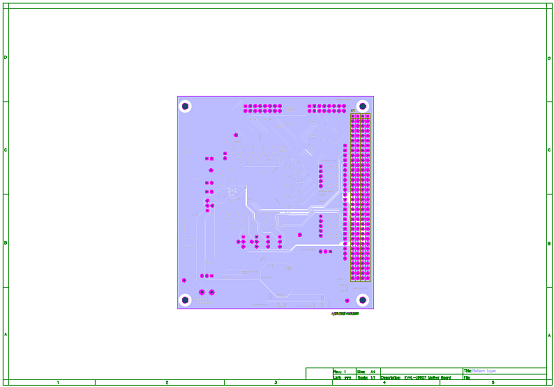 By using SPI communication, it is possible to program L9907 while the application is running (e.i. set the gain of the current sense amplifier). 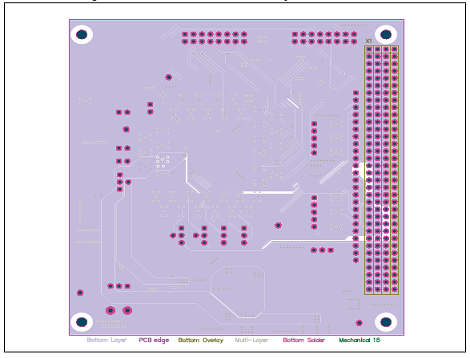 A dedicated pin array allows connecting easily a SPC5 discovery+ board and the EVAL-L9907. 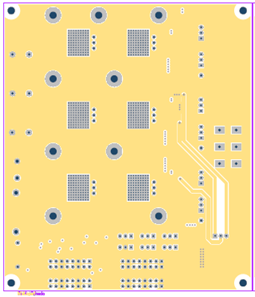 In association with the discovery board SPC560P-DISP a dedicated SW allows controlling a motor control application by using a PC via a USB port. 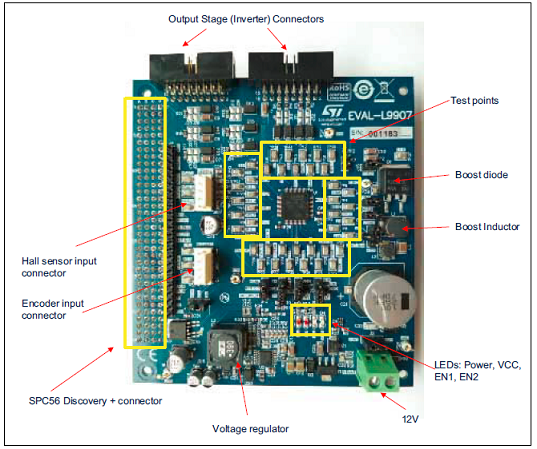 L9907 device is able to control the six pre-driver channels independently and all pre-drivers have dedicated connections with the output MOSFETs; this feature gives the user the possibility to implement all kinds of electric motor control strategy. All gate driver outputs are protected against short circuit and L9907 is protected against over-temperature condition. 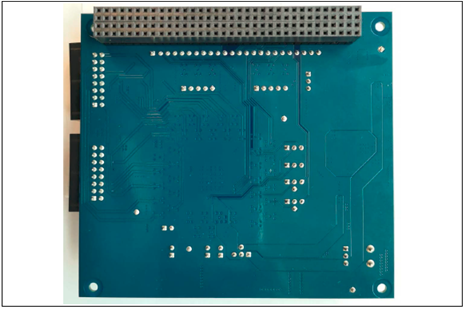 Three terminal blocks are dedicated to connect the three wires of a BLDC Motor (3-phases), moreover, specific connectors are present to connect the feedback signals from the motor to the gate driver and to the microcontroller. 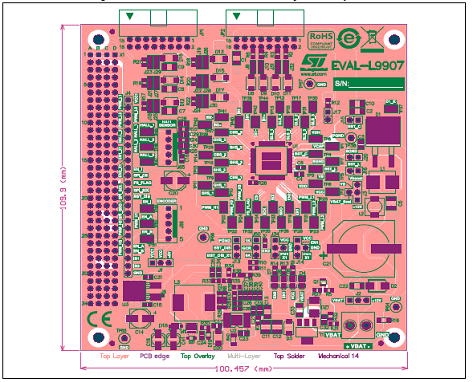 The EVAL-L9907 is an evaluation board designed to allow the whole hardware configuration flexibility, giving the user total access to all pins of the L9907. 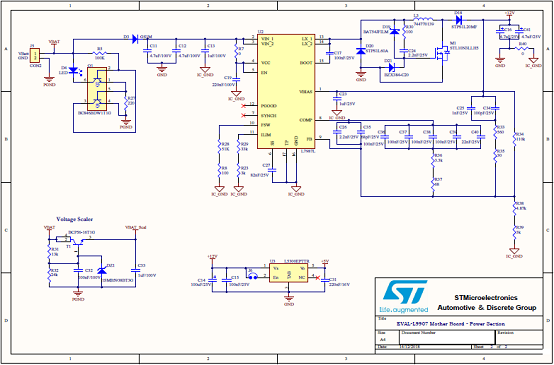 Standard connectors connect the gate driver board (L9907) and Inverter Power MOSFET output stage; this solution allows simplifying the evaluation procedure and it increases the flexibility of the HW environment. 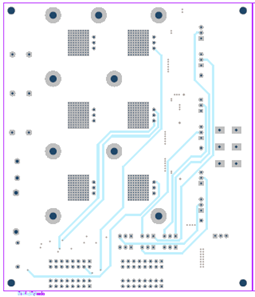 The main features are: Total accessibility to all device pins (both L9907 and the Inverter MOSFET board).Two separated boards: gate driver with L9007 and Inverter Power MOSFET boards with the MOSFET array. This HW architecture allows the user to evaluate the application with different HW configurations. 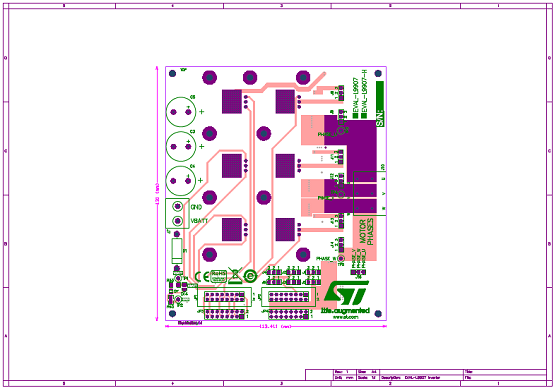 Output power board current capability up to 20A.Full HW compatibility with the SPC56 discovery boards through the standard SPC56 Discovery+ connector, 0.1” - 4x36 pin.Possibility to connect generic microcontroller boards(a) by using a customized adapter.